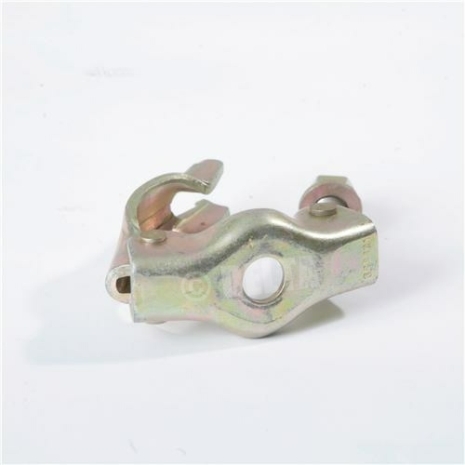 Pressed Half Swivel clamp by Strongforge, this scaffolding fitting is used in fabrication to create components and accessories for use on scaffolding or with 48.3mm tubing. 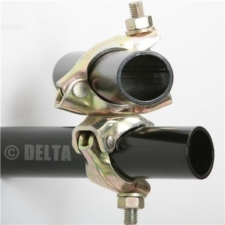 This fitting has a 17mm diameter hole in the back and the lip of the fitting that grips the tube allows 8mm for a bolt to go inside without obstructing the tube. 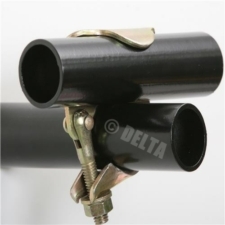 This clamp is compatible with all our new and used scaffolding tube, steel handrail tube or aluminium scaffold tube. 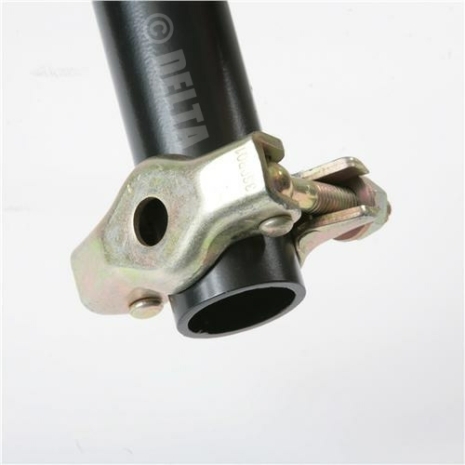 You may also be interested in our range of drop forged fittings. 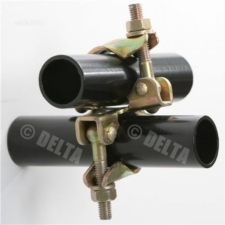 Versatile coupling, strong well made, I have used them to connect scaffolding poles to joists. 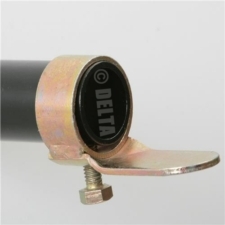 Used to hold electrical boxes on poles for temporary installation. Does the job perfectly. 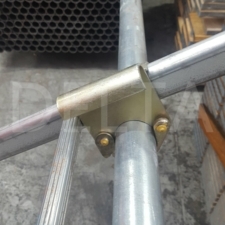 Excellent value, easy to use for installing floodlights on scaffold. 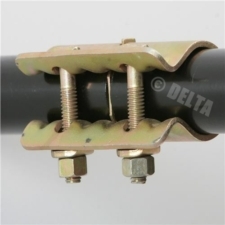 HI can you let me know the diamter of the hole in the back of this please? This hole diameter is approx. 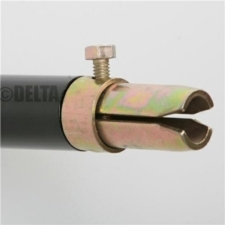 20mm.